An accompaniment to The Real Shakespeare DVD, the DVD workbook includes tasks for before, during and after watching. 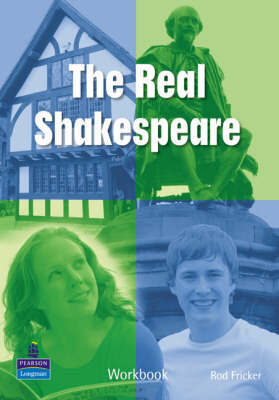 The Real Shakespeare is a five-episode DVD that follows two teenagers as they investigate the life and achievements of the famous English playwright Shakespeare for a school project. The DVD can be used with Challenges 3 and4. Paul and Sarah have decided to make a film about William Shakespeare for their school project. Join them as they visit Shakespeare's hometown, interview experts, visit important locations and discover interesting facts about William Shakespeare's life and plays.